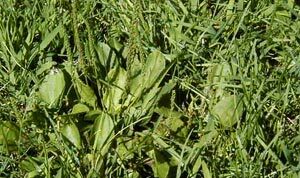 Here are the most common weeds and recommendations to eliminate. 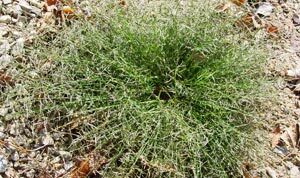 Frequently found in compacted, infertile soils, this light green, low-growing grassy annual prefers cool-season growth, but can be found all year. A sudden brown-out of the lawn in the heat of summer, or prolific seed production in spring, signals its presence. When seeds appear, rake the grass upright, then mow, and bag the clippings. Few summer lawns are without this warm-season annual that branches out its low-growing, wide leaves. 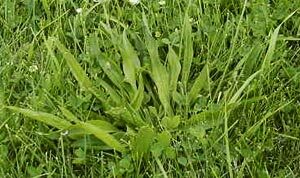 There are two varieties: hairy crabgrass, which is more upright and large, and prostrate crabgrass which is smoother and smaller. The latter also has purplish stems. Both types of crabgrass produce prolific seed heads that stand out like long fingers. 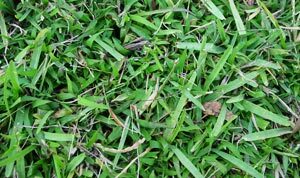 To control crabgrass it is essential to mow high, remove seed heads, and maintain dense turf. Forming reddish mats of oblong leaves and stems, this warm-season annual prefers hot, dry weather. Its fibrous root system allows for easy pulling, but does not leave any stem fragments behind, as they are capable of developing new roots. The plant bears small yellow flowers followed by urn-shaped capsules that release tiny black seeds. Prominent in summer, this warm-season annual grows in rosettes of green, hairy-leaved stems. This low-growing weed has a taproot, and exudes a milky sap from broken stems. A related variety, spotted spurge (E. maculata), is similar but has a purple leaf spot. Delicate in appearance, this low-growing annual may remain green all year in mild climates. Distinguishable from its perennial cousin by its small, heart-shaped, bright green leaves and petite white flowers that resemble stars, annual chickweed prefers shade and areas of thin grass. 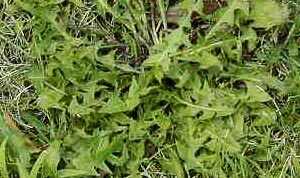 Deter this weed by pulling it, then raking to bring it upright, and finally mowing over it. 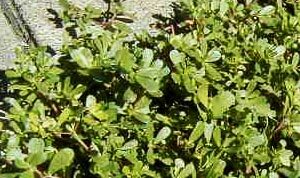 Often called mouse ear, because of the shape of its hairy, dark green leaves, this perennial weed forms dense mats with low growth. It spreads by seeds and creeping rootstocks, and prefers infertile soil. Digging up, raking upright, and mowing help keep this perennial in check. Once used as ground cover, ground ivy is now considered a hard-to-control weed due to its vigorous growth. A cool-season perennial, ground ivy has rounded leaves with scalloped edges growing along square stems. It thrives in moist shade but also spreads in the sun. Indicators of later seed, lavender to blue funnel-shaped flowers appear in early spring. At the first sign of growth, pull or hoe up plants. Rake upright in spring, and mow close. The bright yellow flowers of this cool-season perennial soon turn to delicate spheres of seeds. Dandelions bloom from spring to frost, with new seedlings appearing in the fall. It is best to dig out the fleshy taproot when the plant is in flower and consequently low on the carbohydrate reserves needed for re-growth. Weeding when the ground is moist will make your job easier. 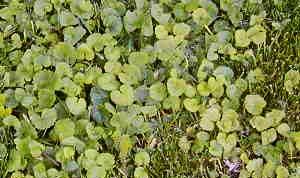 A rosette of waxy green leaves will appear, especially in dry, compacted lawns. This cool-season perennial spreads both by new shoots, and by seed formed on seed heads resembling rat-tails. 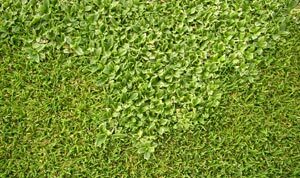 Lack of mowing and poor fertility encourages growth, so to discourage this weed you should improve the fertility of your turf and mow more frequently. A cool-season perennial, this plantain has long, slender leaves with three to five prominent veins. Arising from a rosette of leaves with a taproot, the seed head looks like a short cylinder on top of a long spike. To discourage, alleviate compaction, improve fertility, and raise mowing height. Showing up in late spring, this warm-season grassy perennial becomes obvious when it turns straw-colored in early fall. Its leaves branch off fine, wiry stems that contrast with surrounding grasses. 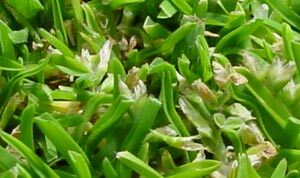 Spread by stolons and having a shallow, fibrous root system, it prefers hot, dry conditions and either forms circular patches or appears throughout a lawn. 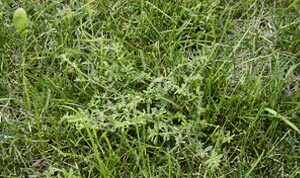 As no selective herbicide will work, the best methods to rid this weed are to use a non-selective herbicide and then reseed the area, or to strip it with a shovel or sod cutter and then reseed.